Conner delivered an awesome speech during graduation ceremonies. In addition to attending college, he managed to get himself a job as a production assistant on The Late, Late Show with James Corden, as well as launching his own video production company. All before his 19th birthday. Arg. I took him to the grocery store after this “how do I cook pasta?” text message exchange. He was going to have a crash course in grocery shopping and cooking on a budget. First of all, he figured he only needed to budget $20 a month for food. I don’t know if he salvaged his beef stroganoff or not. I don’t know what he ended up eating that night. I suspected he was about to dive into a lifestyle of dollar menu fast food… eating junk and eating on the run, totally determined by his busy schedule. Then I discovered something kind of great. 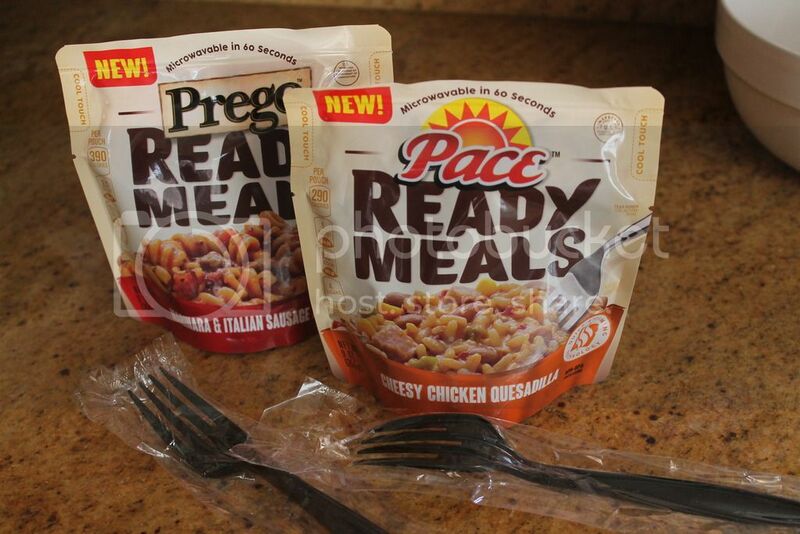 Campbell’s new products include these Ready Meals from Pace and Prego. These satisfying heat and eat meals are ready in 60 seconds, and the pouch actually doubles as a bowl, so Conner can literally heat and run. For some reason we have a crazy collection of individually wrapped plastic forks. Conner can quickly heat the pouch, grab a plastic fork and be on his way out the door. While I would much prefer he sit down, eat at a table and wait 30 minutes before he goes swimming, I know that is asking a lot of a busy young man. 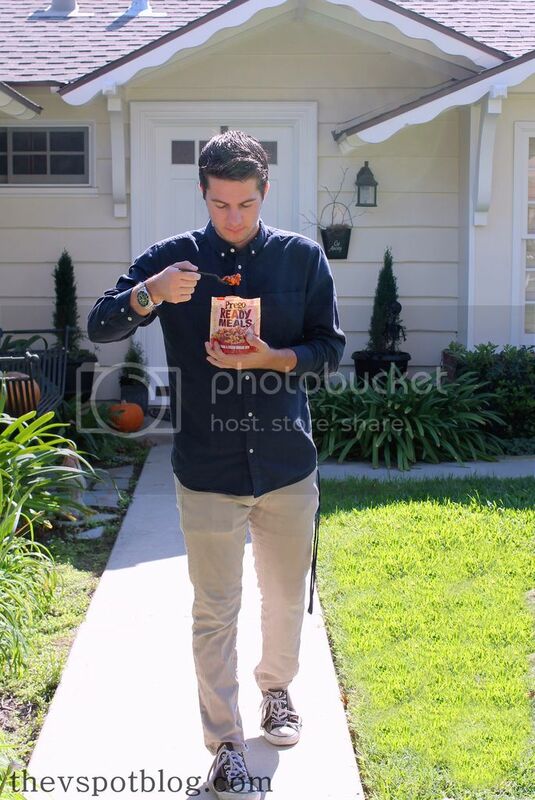 I am just happy that he is able to eat a warm (non-fast-food) meal… even if it is on the run. During our next cooking lesson, I hope to get him to try some simple and delicious Campbell’s recipes. Anyone can cook something yummy with these! I love it. Kaden is about to graduate and I cannot handle it! How would our boys survive without being able to text their mamas?! Yes! So funny! It’s definitely a boy thing!